Hey, beauties, I know I haven’t blogged in some weeks and that is because I’ve been working on my blog content for you guys! But no worries I’m back… Let’s chat girls, I love getting facials, as you all know I am a big advocate for beauty and i’m always finding different methods to treat the skin. 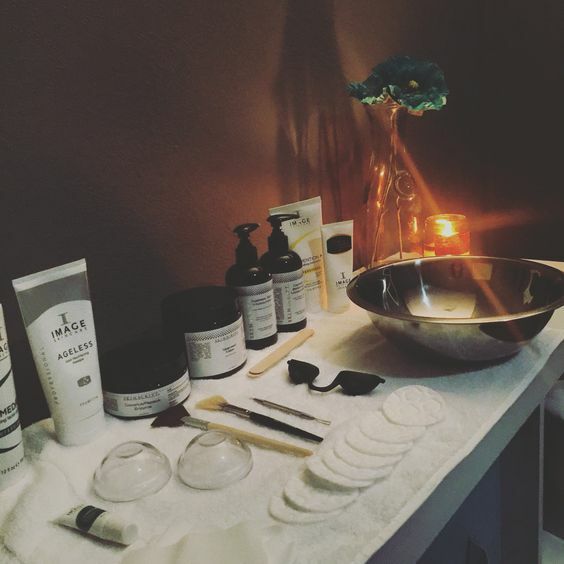 Facials are beneficial in so many ways! But how often do you ladies get professional facials? Do most of you go once a week? Bi-weekly or once a month? For me, I go once a month and that is because I have a decent skin care routine at home. And let’s be honest ladies we all could use a little relaxation once a month! How often should you get a facial depends on several factors such as your skin type, skin condition, and so on. Estheticians recommend to at least get a facial once a month. Everyone is different depending on the condition of your skin. Professional facials are designed to give you a fresh glow and help keep your skin healthy and youthful as possible. A facial is probably one of the best ways to treat your skin. A facial cleanses, exfoliates, and nourishes the skin, promoting a clear, well-hydrated complexion and can help the skin look younger. There are all types of facials such as; Mircoderembrassion facial, Hydrafacial, Biophora Deep Cleansing facial, and many more. Different types of skin have different types of needs and therefore they require different treatment. (Fun fact) The skin types are broken down into four major categories; normal, combination, dry or oily. People with normal, combination or dry skin, once- a month facials are enough, going back to soon can actually irritate your skin. Individuals who have oily skin or suffer from breakouts may sometimes need bi-weekly facials until the skin is cleared up and stays clear. Of course, your esthetician can recommend differently. They can also recommend different treatments such as chemical peels, light therapy, or microdermabrasion depending on the condition. Personally, Mircrodembrassion and Aromatherapy are my favorite facials to get. A Microdermabrasion is a non-chemical, non-invasive procedure that uses a spray of microcrystals to remove the outermost layer or dry, dead skin cells and reveal younger, healthier-looking skin. It is also used to treat deeper facial lines, extreme sun damage, and scars. An Aromatherapy facial helps clear skin congestion and improve the normal functions of the skin. The mask is applied at the end of the facial, it contains essential oils, which gives me a relaxing sensation. Of course, talk to your esthetician first to find out what facials are best for you and your needs. At-home skin care is just as important as facials. There are many at-home facial washes that contain exfoliators which are gentle enough to not damage the skin! My fav is the St.Ives Acne Control face wash! It gets the job done! I know facials can be expensive ladies, but always remember to put yourself first treat and pamper yourself and of course get on Groupon they always have facials for the low! Let me know what kind of facials you all get!